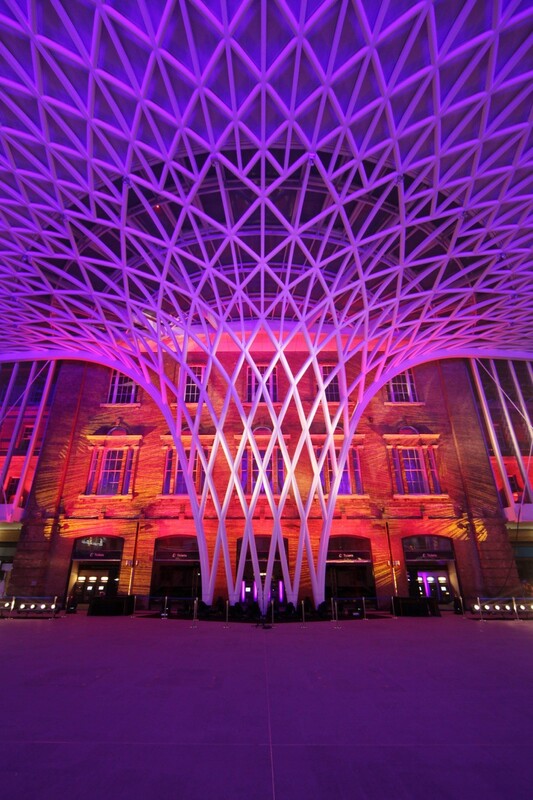 Let’s journey to King’s Cross station tonight, to visit the new West Concourse. 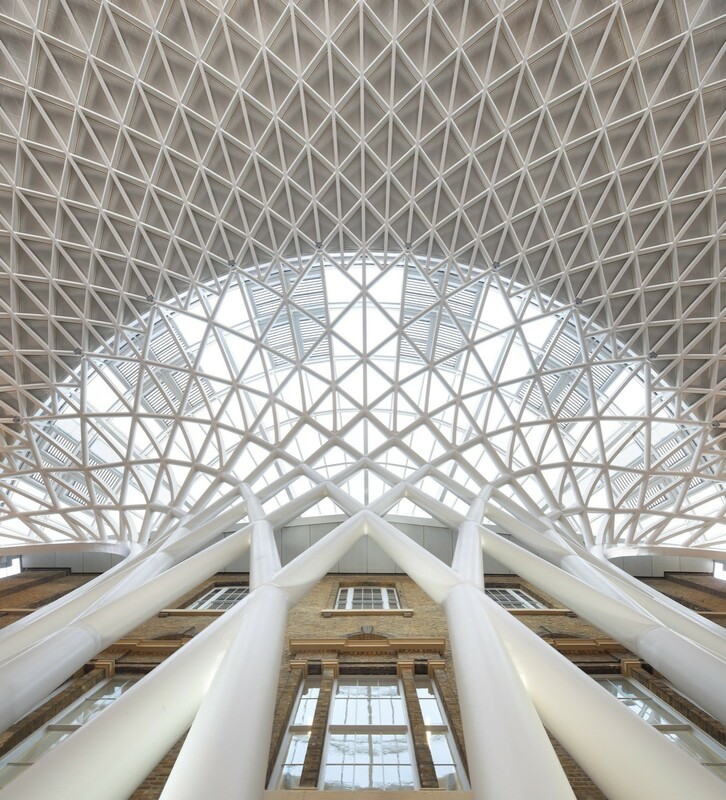 Fantastically combining adaptive reuse of the existing historic buildings with expressive structural elegance, it creates a great new expanse of space that welcomes travelers to London. 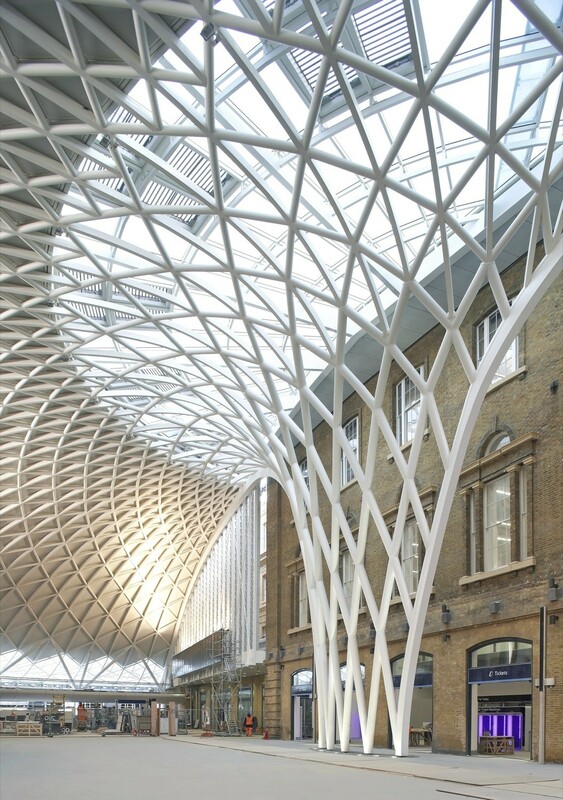 This was one complex project, touching a total of five existing buildings to improve flow and access to a bevy of train lines, underground railways, a hotel, and more. For me the big delights are the fact that, despite this massive undertaking, they sought to preserve as much of the existing fabric as possible, and using that as a starting-off point for some great moments and spaces. 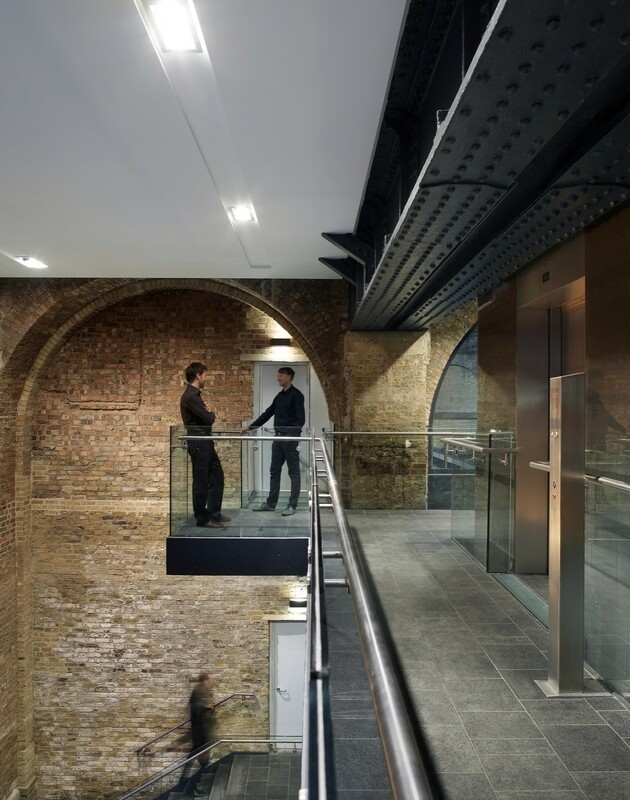 Inside the existing buildings, there is a wonderful dialogue between the old and the new, between the contemporary modifications and the historic backdrop. It is not necessary to copy or mirror the past in order for a building to fit in with its neighbors (or, in this case, fit inside). There are numerous ways to make the two be in dialogue and, even better, enhance each other in a way that a pastiche repetition would not. 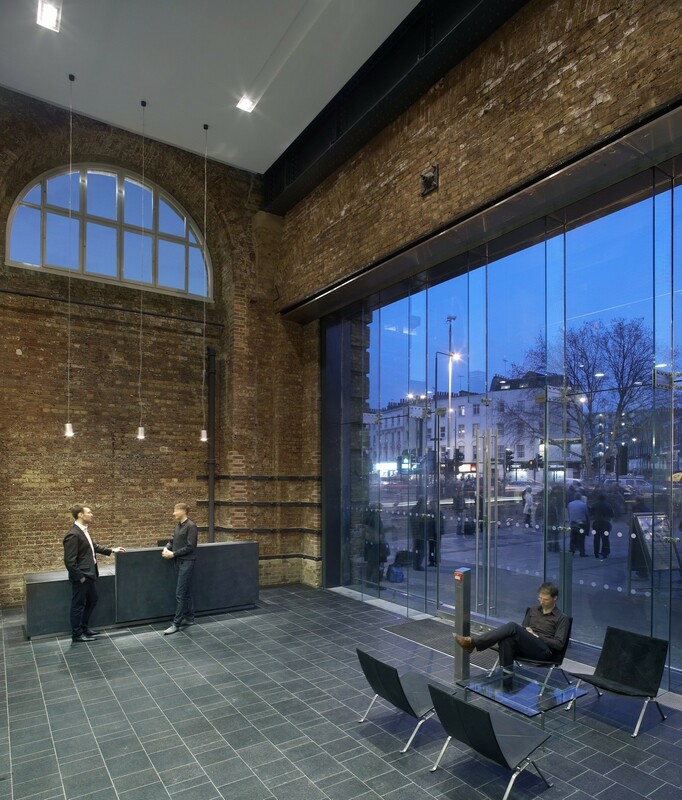 Steel and glass and sleek lighting plays very well with the old brick, highlighting and beautifying the rich texture of the beefy masonry. The new entry hall takes a different, but equally fruitful, path, with a radiant forest of columns and beams that form a dome over the entire hall (and that also delicately nestles in against the existing curved face of the Great Northern Hotel). 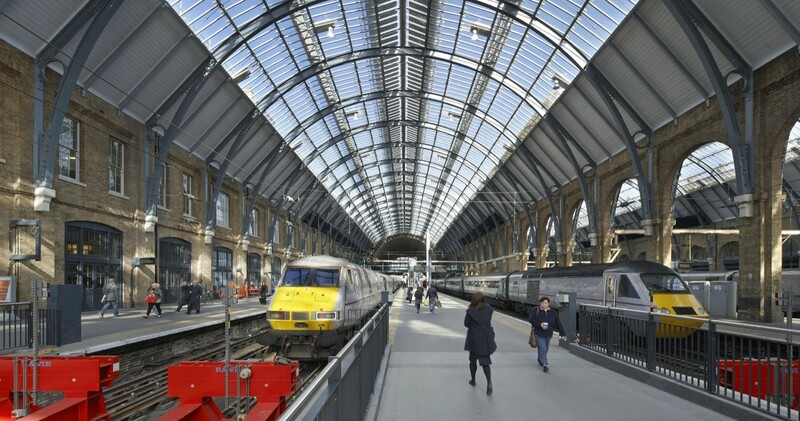 Tall, soaring, and seeming to float overhead, the roof highlights the restored facade of the Western Range building and leaving plenty of room for the necessities of a very busy train station. The existing platforms were also similarly restored and upgraded, so that travelers today can marvel at the energetic structures that long have been a staple in grand stations.